Congrats, Jess! Those extra chances really did help. Look for an email from me asking for your mailing address. I'll be back next week with something a little different... In the meantime, enjoy my latest Fifty Word Story: Midnight at the Urgent Care Clinic. Congratulations, Jenni! And look for an email from me asking for your mailing address. For those who didn't win, remember the book is now available from Viking or your local indie bookstore. Synopsis (from the publisher): When her older brother dies in a fire, Sasha Harless has no one left. Her father died in the mines and her mother ran off, so Sasha's brother was her only caretaker. They'd always dreamed of leaving Caboose, West Virginia together someday, but instead she's in foster care, feeling more stuck and broken than ever. But when Sasha discovers cousins she didn't know she had, she finally has something to hold onto, especially sweet little Mikey, who's just as broken as she is. Sasha even makes her first friend at school and is slowly learning to cope with her brother's death by writing poetry. Then a tragedy strikes the mines where Mikey's father works, and Sasha fears the worst. She takes Mikey and runs away. Why I recommend it: I know what you're thinking: oh, how sad! And yes, of course, it is sad. As sad as Homecoming by Cynthia Voigt or One for the Murphys by Lynda Mullaly Hunt or Walk Two Moons by Sharon Creech. But what the synopsis doesn't tell you is how strong and likable Sasha is, and how powerfully and in what exquisite detail this novel brings to life a West Virginia coal-mining town. Yes, there is tragedy, but there is also a wonderful ending filled with hope. Best of all? It's about the power of poetry to heal. 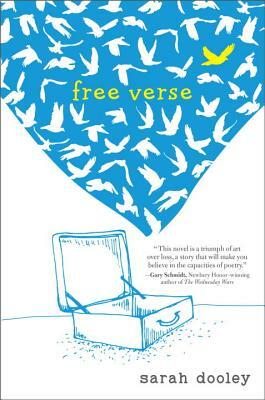 Bonus: Poetry Month is coming up in April and this would be a great discussion starter. While not written in verse, one part of this four-part novel is Sasha's poetry notebook, with many different forms that Sasha learns: haiku, cinquain, tanka, found poetry, etc, as well as a section of free verse poems. Now for the giveaway details: The publisher has generously offered one hardcover copy for giveaway. To enter, you must be a follower of this blog and you must comment on this post. If you mention the giveaway on social media, please let me know and I'll give you extra chances to win. This giveaway is open to US mailing addresses only (sorry!) and will end at 10:00 pm EDT on Sunday March 27. The winner will be announced on Monday March 28. Good luck! 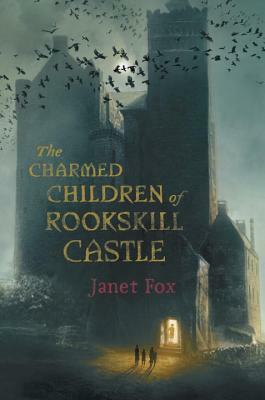 THE CHARMED CHILDREN OF ROOKSKILL CASTLE by Janet Fox -- Guest post and Giveaway! Congratulations, Faith! And look for an email from me asking for your mailing address. Synopsis (from the arc): Twelve-year-old Katherine Bateson believes in a logical explanation for everything. But even she can't make sense of the strange goings-on at Rookskill Castle, the drafty old Scottish castle-turned-school where she and her siblings have been sent to escape the London Blitz. What's making those mechanical shrieks at night? Why do the castle's walls seem to have a mind of their own? And who are the silent children who seem to haunt Rookskill's grounds? Kat believes Lady Eleanor, who rules the castle, is harboring a Nazi spy. But when her classmates begin to vanish, one by one, Kat must face the truth about what the castle actually harbors--and what Lady Eleanor is--before it's too late. Why I recommend it: You can just tell from that dark, atmospheric cover that this will be a fantastic and chilling read! Yet it's not too scary (for example, the children find sympathetic adults to help them). The Scottish setting is superb, the writing masterful. I had trouble tearing myself away from the book to cook dinner or even sleep. Kat is a strong and resourceful protagonist, and you'll be with her every step of the way as she puzzles out the mysteries of the castle, Lady Eleanor, and the Lady's mysterious chatelaine with one charm for each child. 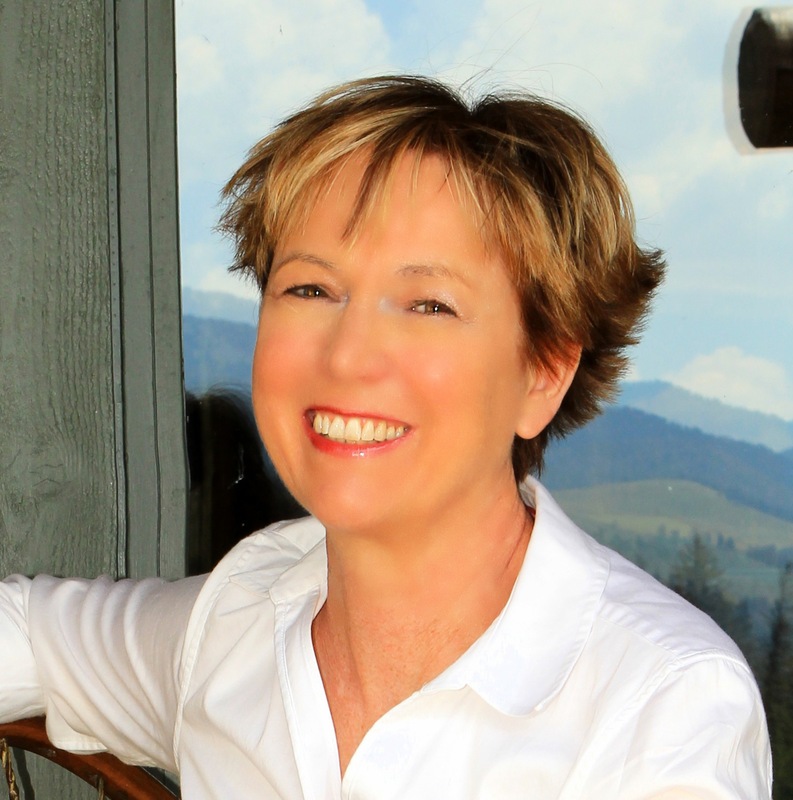 I'm honored to be the first stop on Janet Fox's blog tour! And now, for a special treat, a guest post from the author herself. Please discuss your research process (particularly if it involved mysterious trips to Scotland!). Please also expand on how your research brought you to become interested in chatelaines. Thanks for this great prompt! My entire process - writing and researching - is very organic. Many of my best ideas come from a place I can only call "my magic zone". Lots of my ideas have come from dreams; I've often started writing a novel from a single image that pops into my head from out of the blue. In the case of THE CHARMED CHILDREN OF ROOKSKILL CASTLE, the inspiration was a picture. The chatelaine in the story was posted as a picture on the internet and the story grew from my reaction to that strange piece of jewelry. That's not always the way it works, however. In the case of my YA novel SIRENS, I wanted to add something more - some layer, something deeper - but I didn't know what, until one night in winter while I was listening to a radio program. The interviewer was discussing a new book on Spiritualism in the 1920s and the magician Howard Thurston, and how he was a friend and rival of Harry Houdini. Thurston believed in life after death; Houdini did not. That was the layer I was looking for, and I bought and read the book on Thurston and incorporated magic and spiritualism into my story. More recently, I've been working on another MG novel set in Scotland (a possible sequel to CHARMED CHILDREN). Again, I was trying to find some way to make a richer and more compelling story, so I went on line and began to research old clocks, and discovered that the unfortunate Mary, Queen of Scots, possessed something called a "death's head watch." If that novel comes to life, you'll find out just what a death's head watch is, and I can assure you it's pretty creepy. As to trips to Scotland, I didn't take that trip on the spur of the moment! I've been to Scotland before, and my husband and I planned to go to the UK to visit friends, and when I sold CHARMED CHILDREN we adjusted our plans to make an excursion through Scotland. That way I could visit the castle I plucked out of photographs to become Rookskill - and it exceeded my expectations in its scary splendor. In short, I tend to follow my instincts, and I've found that once I become interested in a certain aspect of what I'm writing, references pop up everywhere. It's as if the universe is affirming what I'm doing. Writing really is like magic - backed up by science (solid facts) - with an energy all its own. Thanks so much for your guest post, Janet. Glad a trip to Scotland was involved somehow! And I'm thrilled to hear of a possible sequel! And here's the first video of Janet's twelve videos about the charms. For the next stop on the blog tour, visit Word Spelunking tomorrow, Tues March 15 for a Top Ten List and Video #2! And next Monday, our very own Middle Grade Mafioso has an interview with Janet and Video #6! Now for the giveaway details. The publisher has generously offered one hardcover copy to one lucky winner (US mailing addresses only. Sorry!). To enter, you must be a follower of this blog and you must comment on this post. If you mention the giveaway on social media, please let me know and I'll give you extra chances for each mention. This giveaway ends at 10:00 pm EDT on Sunday March 20 and the winner will be announced on Monday March 21. Good luck!